Elegant blue-purple flowers with yellow markings. 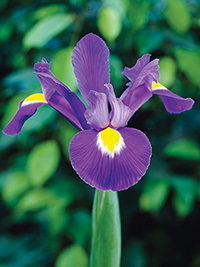 The most popular cut flower iris by far. Mid-season flowering, 70 cm tall.